Please call Peace Love & Zen at 412-661-0777 to schedule an appointment there. 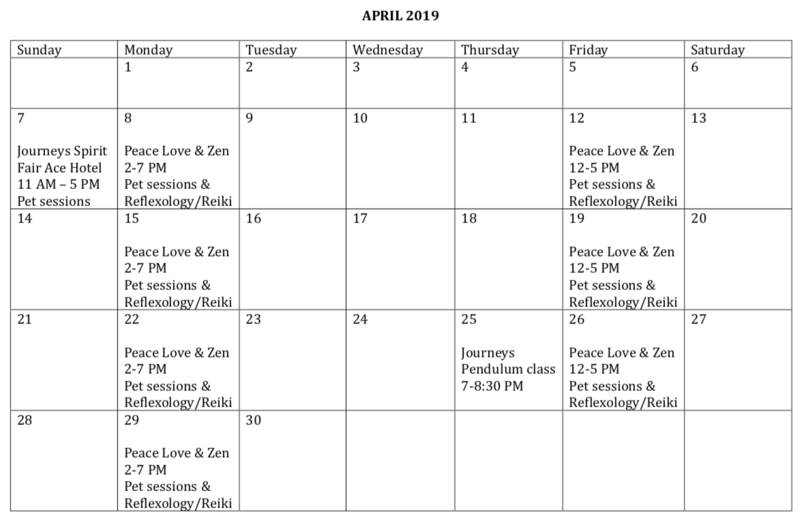 Please call Journeys at 412-681-8755 to schedule a session there or for a session at the Spirit Fair. All other appointments are scheduled directly with Kerry.